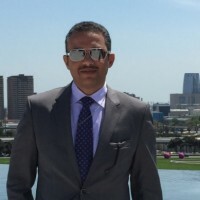 Aiman Al-Masri has experience with extensive strategic planning, coordinating, and has vast analytic skills. Aiman is currently the President and CEO at MESC Group. He has broad sales and marketing experience in Saudi Arabia, with comprehensive market knowledge in international energy automation. Aiman has organizational development and resource management capabilities for planning, implementing and monitoring business strategy, and is very detailed in the understanding of process implementation and improvement. He handles large volume sales, maintains excellent customer relationships, and employee development and leadership abilities.